The sector inquiry into the use of capacity mechanisms announced by the EU’s Competition Commissioner Magrethe Vestager on 29 April has important implications for the creation of a single market for energy, writes Matthew Duhan, Adviser at the UK-based consultancy Global Counsel. According to Duhan, the willingness of DG Competition to take on Member States in this key area of energy policy will be a crucial test case for the success of the Energy Union. Across Europe governments are facing the threat of disruption in power supply from both the retirement of old capacity and an increasing volume of variable capacity from renewable energy sources which require back-up. The problem is that wholesale power market prices – which are being lowered by renewables bidding into the market at zero marginal cost – are removing incentives for investment just as it is needed. As a result, capacity margins – the ‘buffer’ of generation capacity electricity above normal peak demand – have begun to shrink in a number of markets. After a period of debate a consensus appears to have emerged across Europe that the answer to this problem is intervention in the market in various forms of capacity mechanisms. DG Comp will now seek to determine whether a range of different capacity mechanisms introduced by member states meet the technical rules set out in 2014 in the Commission’s ‘Guidelines on State Aid for environmental protection and energy’. While the rules are clear that the market interventions must be “appropriate”, “proportional” and “avoid undue negative effects on competition and trade”, there remains significant scope for interpretation and there will be plenty of work for the lawyers. The inquiry will take in reviews of 11 member states who have either implemented capacity mechanisms, or have plans to do so, including France, Germany, Italy, Poland and Spain. It will exclude for now the UK, whose capacity market was cleared by DG COMP in July of last year. The Commission will invite comments on initial findings by the end of 2015, with the final report published in mid-2016. While the Commission recognises the problem of squeezed capacity margins, it has always advocated greater interconnection between member states as the first-best solution, arguing that sending spare power across Europe to where it is needed is a cheaper solution than paying power plants in every member state to be on standby. The potential advantages of the Commission’s long-held ambition for a truly single European energy market – which was supposed to be completed by 2014 – are clear. However, limitations imposed by the gaps in physical infrastructure continue to frustrate the Commission’s vision of energy as “the fifth freedom” of the EU. Progress is being made through the Commission’s Projects of Common Interest programme, including the high-profile Santa Llogaia – Baixàs power link across the Pyrenees. But there remains a way to go before Europe reaches the Commission’s somewhat arbitrary goal of all member states having interconnector capacity equal to 15% of their production by 2030. More fundamentally however many member states have proved reluctant to integrate energy markets with their neighbours. In part this is due to a reluctance to see foreign energy companies across the border benefit from the raft of subsidies and support schemes which characterise most European energy markets. Politicians reluctant to defend additional costs on bills recognise that such a defence becomes yet harder if those costs are supporting jobs and investment in another country. For regulators there are questions about their jurisdiction in setting rules for generators across national borders. But perhaps most critical is a basic fear among governments that European solidarity might waver in times of acute stress on the energy grid. The provision of energy is one of the core functions of the modern state, and many member states remain reluctant to elevate that responsibility to the European or even regional level. The Commission knows all this very well, and has identified capacity mechanisms as a potential threat to the single market. The suspicion of those in DG Energy is that member states will use capacity mechanisms to pay only generators in their own country, at once undermining the incentives for investment in interconnection and perpetuating the fragmentation of national energy markets. The major focus of the Commission’s rules is therefore to ensure that capacity mechanisms do not ‘crowd out’ interconnection and include “the participation of operators from other member states where such participation is physically possible.” As capacity mechanisms roll out across Europe, the ability of DG COMP to enforce this will be critical in ensuring that capacity mechanisms do not turn into barriers to market integration. DG COMP’s inquiry comes at the beginning of a period of potentially far-reaching but as yet largely undefined Commission action on electricity markets led by Commissioner for Energy and Climate Action Miguel Arias Cañete as part of its Energy Union agenda. The Commission has set out an extensive and ambitious work programme for the coming eighteen months: developing a new European electricity market design with legislative proposals to follow in 2016; reviewing the regulatory framework, reinforcing European regulators Agency for the Cooperation of Energy Regulators (ACER) and the European Network of Transmission System Operators for Electricity/Gas (ENTSO-E/G); proposing legislation on security of supply for electricity in 2016; and seeking to fund and develop more interconnection between member states. Running through all of these programmes is the Commission’s ultimate ambition to create a single European power market. Although energy is a ‘shared competence’, member states emphasise at every opportunity that Article 194 of the Treaty guarantees a “Member State’s right to…determine its choice between different energy sources and the general structure of energy supply”. The Commission has relatively few tools to overcome member state opposition where it arises, however in energy – as with other portfolios – DG COMP has proved to be a something of an exception. The Commission’s success in the implementation of the legislative ‘third energy package’ – most notably including the requirement for the separation of ownership of generation, transmission and supply assets in both electricity and gas – has been underwritten by a DG COMP willing to enforce the rules and prosecute transgressors. This approach has ultimately culminated in the long-awaited release of the statement of objections in DG COMP’s antitrust case against Russian gas supplier Gazprom at the end of April. The launch of the inquiry into capacity mechanisms is perhaps a sign that the Commission has learned its lesson from the third energy package and will seek to use DG COMP to further the Energy Union project. Commissioner Vestager has already signalled her engagement, emphasising that “the entire field of energy is of huge interest to us…We will also consider how we in DG COMP can best use our resources in order to enable that project.” The vagueness of the state aid rules on capacity mechanisms certainly provides DG COMP plenty of room to exercise its discretion on which capacity mechanism schemes to pass and which to block. It is even possible that DG COMP could use the inquiry as leverage to unpick existing distortions, such as wholesale price caps, in certain national markets as a precondition to accepting their capacity mechanisms. Compared to the more common antitrust cases, the capacity mechanism inquiry will provide a very different test for Vestager and her officials. First, these sector-wide investigations are by their nature less prosecutorial and can become almost academic and somewhat arcane discussions. Any alleged violations of the Commission’s guidelines will be hard to demonstrate and quite likely subject to legal challenge – particularly where member state capacity mechanisms are already in place. 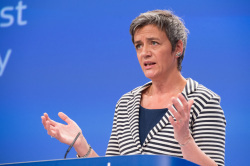 Second, although Vestager has already shown her appetite to take on tough cases (albeit both the Google and Gazprom cases were launched by her predecessor Joaquin Almunia) member state governments may prove opponents of an entirely different nature, particularly in such a sensitive policy area. The Commission has a long institutional memory, and within DG COMP there will be many officials who remember with caution the 2005 energy sector inquiry in which the Commission identified “serious shortcomings” in both electricity and gas markets across Europe, but encountered massive pushback from member states led by Germany and France. The appetite within DG COMP to take on member states on domestic energy issues is an important, but open question. 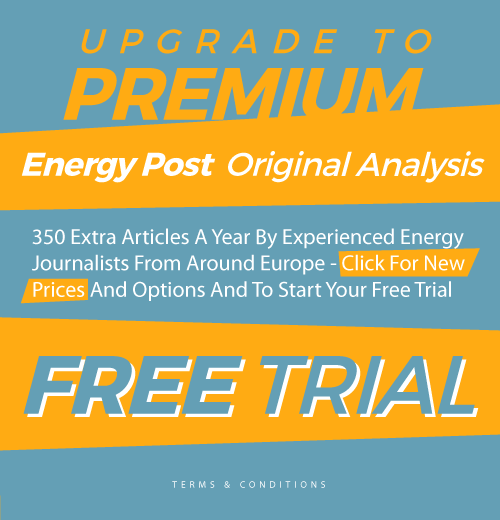 The willingness to do so will be an important signal in whether the Energy Union comes to be regarded as a radical upgrading of the European single energy market, or simply a rebranding exercise. Matthew Duhan is an Adviser at London-based strategic advisory firm Global Counsel. Matthew focusses on European energy issues and advises a range of global organisations on policy and political risks in key markets. He can be contacted at m.duhan@global-counsel.co.uk. Oh dear, where to start. “Europe (is) facing the threat of disruption in power supply from retirement of old capacity & an increasing (amount) of RES which require back-up”, errrr no. Please identify a single incident where RES has caused disruption?. Back-up capacity? perhaps in electrically isolated systems (Spain & UK) otherwise – interconnectors address the non-problem quite well. “wholesale power market prices – lowered by renewables bidding into the market at zero marginal cost – are removing incentives for investment just as it is needed” errr no…. as Ziggy Gabriel observed, the LCOE of (new) coal in Germany is around Euro95/MWr, the LCOE of (new) on-shore wind (no subsidy) is around Eurp60/MWhr (source – Prognos) – you were saying? (oh & in Southern Germany PV is the lowest generation on the basis of LCOE). “capacity markets” I’ve already written about that in a post in Energy Post – Jan 2015. “the UK, whose capacity market was cleared by DG COMP” that would be in 2018 DG Compo cleared the large generators to take a cheque for £18 from each customer for …..nothing? & now Compo is going to do the same in other EU MS? EU peasants & serfs – stand by to make a payment to the usual suspects – for BAU. This was nice: “interventions must be “appropriate”, “proportional” and “avoid undue negative effects on competition and trade”, there remains significant scope for interpretation” – so that would be free gifts from Euro serfs to the usual suspects are OK? . In the case of the EC and its aim to improve European electricity market design by “reviewing the regulatory framework” & “reinforcing ACER” ……the regulators don’t use the powers they have – most (all?) of them are captives of the usual suspects. Regulators? they couldn’t regulate a fish and chip shop. The finniest part was: “DG COMP willing to enforce the rules and prosecute transgressors”…….comical & why? one word – Hinkley. Clearly the writer lives in a branching universe if he thinks that Compo is going to do anything – naaah you need the Austrians to make sure that Compo’s rules are enforced. & finally: “sector-wide investigations ….less prosecutorial and …..almost academic” – live from the Berlaymont – MAC’s cabinet: “so what do you think …. get the peasants & serfs to pay Euro20 or Euro30 per year extra to RWE/EON/EdF/Vat69/…. etc?”.